Occasionally a musical theatre production will come along that is so strikingly original and confidently self-contained in its execution that you can't help but be instantly won over by it. Matilda the Musical, based on the beloved children's novel by Roald Dahl (and thankfully nothing to do with the egregious 1996 movie adaptation) is one such experience and quite simply one of the richest, freshest and most irresistible musicals to hit the West End in quite some years. 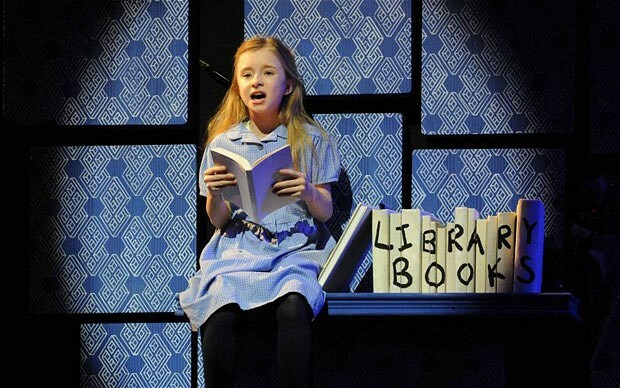 As with the book, the show follows the story of Matilda Wormwood, an exceptionally gifted young girl with talents and abilities beyond more than just her age, as she is forced to endure unappreciative parents (Steve Furst and Josie Walker, both excellent) and the horrors of her new school and it's larger-than-life behemoth of a headmistress, Agatha Trunchbull (Bertie Carvel, more on whom later...). Amongst the suitably Dahl-esque mischief and mayhem, Matilda finds solace and comfort in her kind-hearted teacher Miss Honey (a beautifully tender and earnest Haley Flaherty), telling stories to local librarian Mrs Phelps (Melanie La Barrie) and befriending some of her fellow terrorised pupils. Both Dennis Kelly's witty book and an extraordinarily well-crafted soundtrack and score by Tim Minchin do a faultless job at capturing not only the tone and nature of Dahl's writings, but also honour his rich creativity with words and language, with both dialogue and songs crackling with some ingenious and winningly inventive lyrical work and that quintessential love for the fun, the grim and, indeed, the 'revolting'. It's difficult to envisage a more pitch-perfect introduction to the whimsy and wonders of the beloved author's universe and the love, understanding and passion for his works by the creative team is evident in every delightful moment and musical number. Those going in expecting an atypical musical with the standard roster of archetypal songs may be disappointed - aside from the occasional downbeat moment and more pensive ballad here and there ('My House', 'Quiet') the majority of the the arrangements are wonderfully unique and upbeat, with some dazzlingly intricate and up-tempo wordplay easily on par with the works of Dahl who was, himself, an avid poet. Whilst this may mean you will leave the theatre struggling to find yourself humming along or even recalling the majority of the numbers, this is mostly due to their original structure and execution, technical complexity and the fact they are so enthused with both narrative and character that they do not let themselves fall prey to typical melodic or repetitive form. The cast are similarly sublime across-theboard, with particular credit going to the young company of child actors who were practically faultless throughout. The vocal control, stage presence and charisma exuded by the young actors playing the likes of Lavender and Bruce Bogtrotter were nothing short of extraordinary, whilst Isobelle Molloy, who played Matilda for this performance, grounded the entire show with an endearing yet supremely assured and entertaining turn which again demonstrated a clout and ability far beyond her years. There was no dumbing down or 'cutesifying' Matilda here - she is a confident, capable and well-rounded central protagonist who is conveyed perfectly as such. There was never any doubt that Matilda The Musical would fail or succeed on the strength of it's young cast, and it is encouraging and re-assuring to see such an amazing troupe of young performers so completely owning a production. 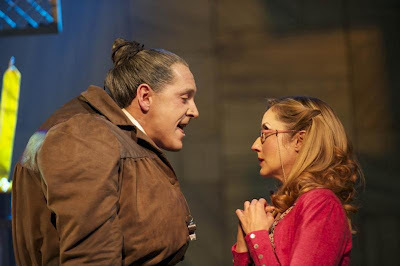 However, the real highlight of the entire show has to be Bertie Carvel's utterly ingenious and relentlessly hilarious turn as villainous headmistress, Miss Trunchbull. An overbearing, larger-than-life character in the books (a former Olympian hammer-throw champion, no less), Carvel takes the inspired turn of imbibing his Trunchbull with a shrill, edgy neurosis and nervous, erratic disposition punctuated with a fierce malice and surprising (yet befitting) moments of spry physicality. It's a tour-de-force, bombastic performance and some of the finest characterisation work we've witnessed in a musical to date, and one which recently earnt Carvel a much-deserved Olivier award. 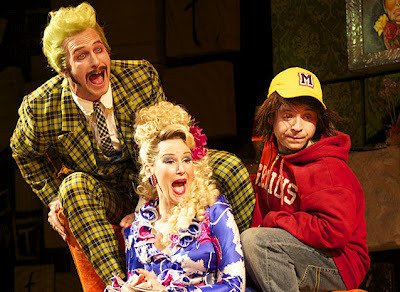 With initial trepidation at the male-playing-female turn being too akin to the likes of Edna Turnbland in Hairspray (which Michael Ball recently brought to the West End and also earnt an Olivier for his troubles), any such fears were instantly dashed by Carvel's (superior) deliciously anarchic and exceptionally original work. Just be sure to book your tickets and see the show as soon as possible, for Carvel is due to leave the production July 1st, and to miss out on his Agatha Trunchbull would be depriving yourselves of one of the most inimitable and memorable musical performances of recent years. 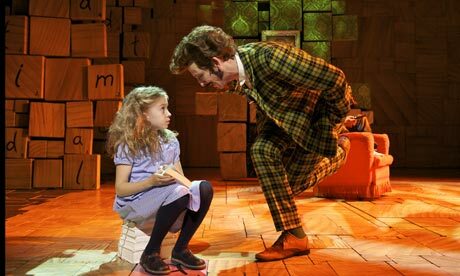 It's difficult to levy any criticism at Matilda The Musical as it captivates and charms consistently from the outset. The only slights were technical and very occasional - at times the almost overbearing lighting would glare into the audience to an almost uncomfortable extent, and in one or two numbers ('Loud' being the most notable) the arrangement was so loud it at times overwhelmed and drowned out the vocals. These are, however, very minor and momentary critiques and did nothing to sully the overall quality of the experience this production provides. 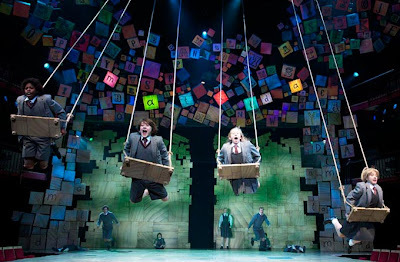 The sets, costume design and general aesthetic work on show are equally imbued with the same comic energy, whimsical spark and delightful vigour as the cast and music, culminating in a complete, coherent and utterly irrepressible experience, one that at once celebrates the spirit and joy of childhood and the invention and vim of Roald Dahl's work whilst never being too afraid to venture pigtails-first into darker territory. With some of the most joyous and delightfully postmodern musical production work in memory (including, for instance, an impromptu 'interval announcement' by Matilda's father), and a faultless cast both old and young alike, Matilda The Musical is by quite some measure the most delightful and entertaining production to hit the West End in recent memory, and very possibly the best show you can catch in London right now. 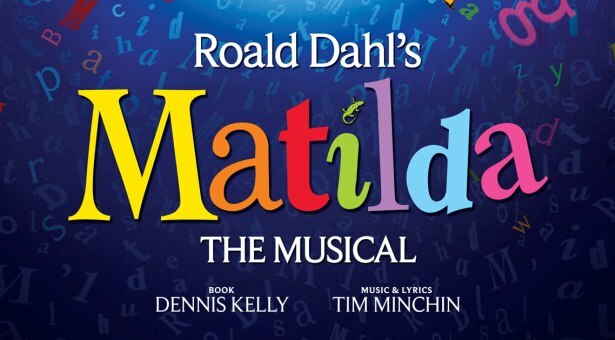 MATILDA THE MUSICAL is currently running at the Cambridge Theatre, London. CLICK HERE for the show's official website for more information and to book your tickets! Alternatively phone the Box Office directly on 0844 412 4652 or book with the RSC on 0844 800 1110. Press tickets for this performance of Matilda The Musical were provided courtesy of Corner Shop PR, London. (A)musings Media gratefully acknowledges their generous invitation. Solid review - must be good with you only giving avenue q four stars! May have to check this out when I'm in London for the olympics next month. Hi Joe - thanks for commenting! Four stars was still a brilliant score for Avenue Q but we'll leave that discussion for that article. 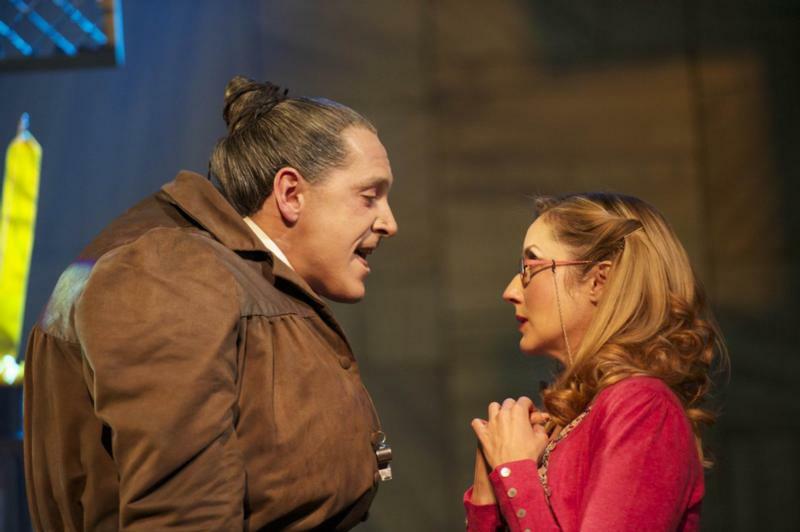 Definitely check out Matilda if you get the chance - and as mentioned in the review, if you can see Bertie Carvel before he leaves the show July 1st you'll be in for a treat. Although I'm sure his successor David Leonard will do a great job and provide an equally hilarious and capable turn.